Arrgh matey's it's time to set sail on the seven seas but only the fiercest pirates will find the treasure! 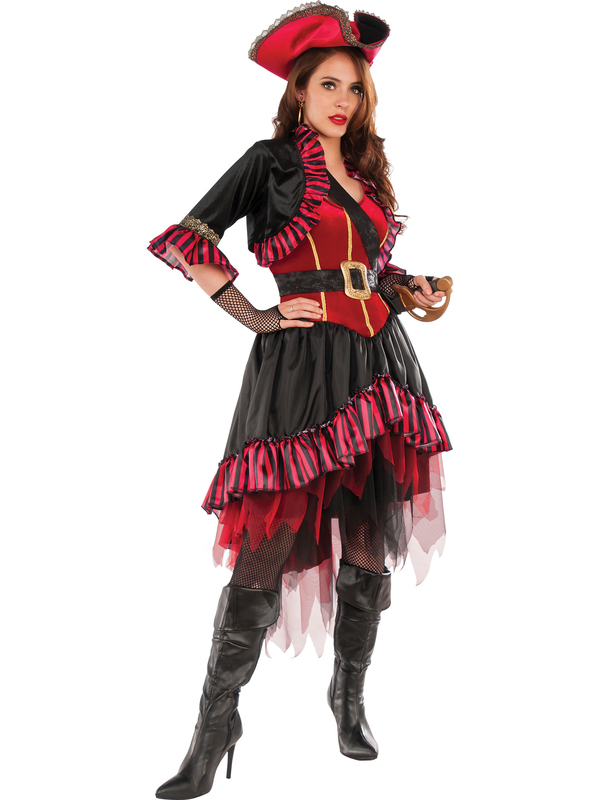 With our Women's Lady Buccaneer Costume take command of your pirate crew and pillage and plunder all the candy for Halloween. This Women's Pirate Costume comes with the dress, hat, belt, and bolero jacket. You'll be a true lady pirate and can make anyone walk the plank! Order a Women's Buccaneer Costume online!